Two Chairs is a San Francisco based mental health and therapy clinic that is outfitted with modern, Scandinavian inspired interiors. Our custom console table designed for their second location's entranceway refers to the clinic's logo of interlocking frameworks. 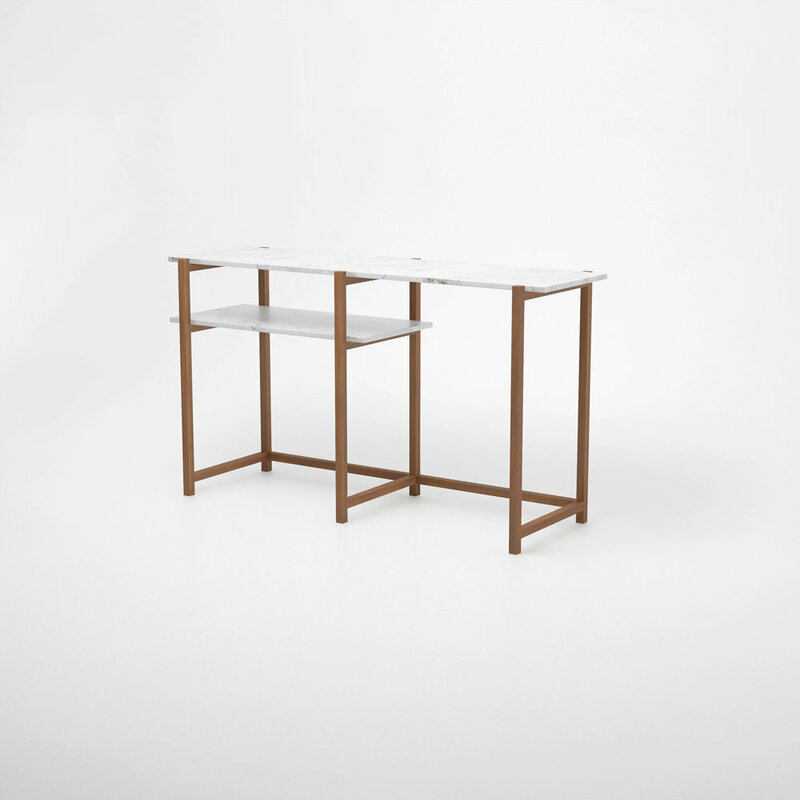 The handcrafted walnut frame is topped with two staggered layers of Carrara marble surfaces.